Ever realised 40% of the global workforce is a part of the gig-economy? India is among the Top 5 countries in contract workforce engagement !! Contract labour has become a necessity in today’s cut-throat environment. In order to remain competitive, efficient and cost effective, it has become imperative for an employer to restructure the organization, modernize the technology, reduce regular manpower and rely more and more on contract labour. There are many sensitivities involved in dealing with contract labour workforce apart from wages, a crucial one being statutory and regulatory compliance, to provide a happy and result oriented workforce for maximum output and efficiency. Is YOUR company ready for the New World of Employment or is it facing the following challenges? 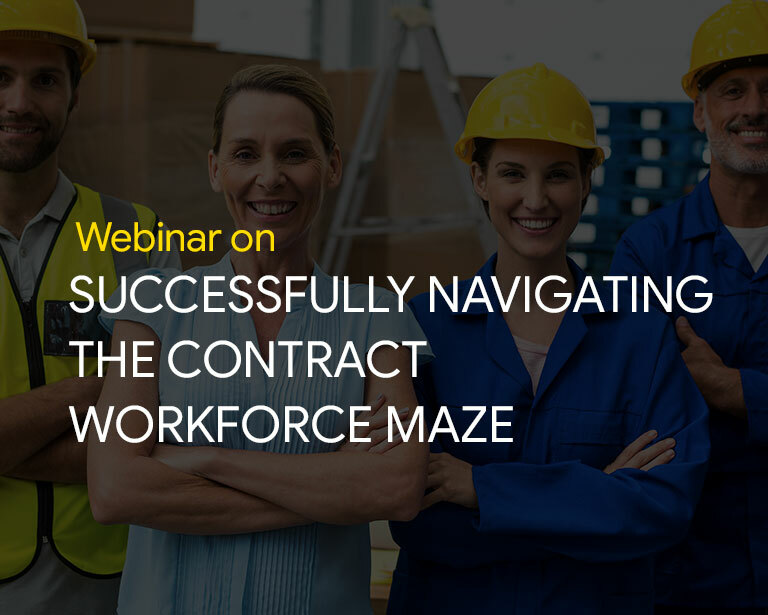 Register now to view the Recording of this Webinar organised by Ramco Systems in association with CII which will address the complete Contract Workforce Management Life-cycle for enterprises and enable in arresting Revenue Leakages.